If you’re in a position to buy your first home – and you’re considering moving to Glasgow’s West End – this post is for you. Based on their amenities, unique attributes and value for money, here’s our pick of the best areas to live in one of Glasgow’s most sought-after suburbs. From Hillhead’s traditional sandstone tenements to Finnieston’s modern developments, the West End’s diverse range of suburbs offers fantastic-value properties suited to every taste and budget – including first-time buyers. The heart of this desirable district is around Byres Road, a lively area brimming with some of the city’s best bars, cafes, shops and entertainment venues. Education is also a big draw in this area – the West End is well-known for its close proximity to several first-rate schools, including the main University of Glasgow campus. Furthermore, this area boasts convenient transport links to the city centre and several sprawling green spaces, making it a great option for students, young professionals and families alike. 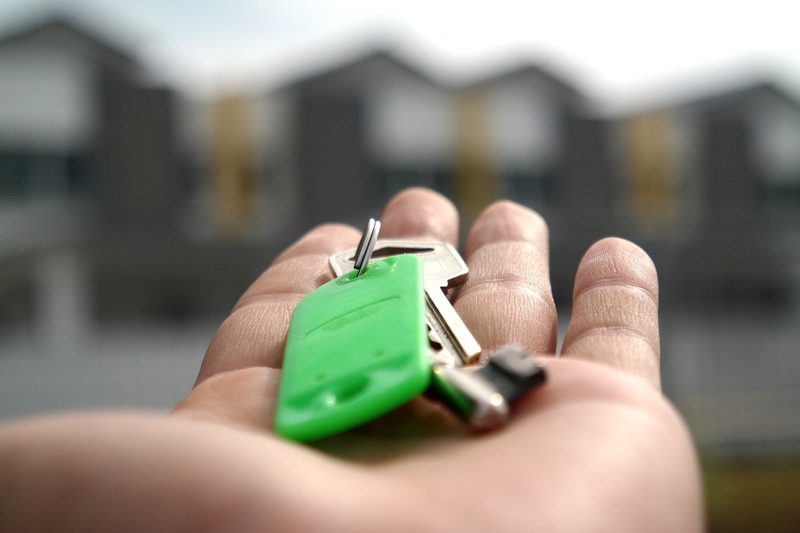 Housing prices have been soaring here for many years, but the demand for property is also helping to encourage the development of new homes catering to a range of buyer profiles. The average property price in the West End is £314,883 (based on the average price in 2018). If you want to be close to all the West End action without having to pay a hefty premium to live near Byres Road, Partick is the perfect compromise. Its proximity to the University of Glasgow has long made it a popular locale for students, but it’s recently become the go-to spot for modern professionals looking for a vibrant and affordable place to live in the West End. With a close-knit community spirit, plenty of independent restaurants and bars along Dumbarton Road and a variety of amenities on offer, there’s no doubt this up-and-coming area is currently on the rise. The average property price in Partick is £199,679 (based on the average price in 2018). Named “the hippest place to live” in Britain by The Times in 2016, it’ll come as no surprise that Finnieston’s popularity has surged over the last few years. This once-neglected Clydeside area is now home to a diverse array of restaurants, independent shops, art venues and two of the city’s top cultural attractions: the Riverside Museum and the SSE Hydro. With a mix of traditional and contemporary properties, Finnieston offers some of the finest – and some of the most attainable – housing options within a stone’s throw from the city centre. The average property price in Finnieston is £228,548 (based on the average price in 2018). For those seeking a quiet suburban area that that’s still relatively close to the hustle and bustle of Byres Road, Hyndland is a fantastic option. The main draw in this upmarket neighbourhood is the ample offering of spacious tenement flats, conversions and detached homes with sizeable gardens. Trendy cafes, beautiful boutique shops and superb primary and secondary schools all add to the appeal of this charming suburb, making it a desirable West End district for everyone from students to working professionals and young families. With frequent rail and bus links to the city centre, everything you could need is within easy reach. The average property price in Hyndland is £309,074 (based on the average price in 2018). Due to its proximity to Jordanhill School, the number one ranked state school in Scotland, Jordanhill is especially popular with families. Situated adjacent to Victoria Park, this lovely residential area is characterised by its leafy surroundings, laid-back atmosphere and convenient urban location just outside the city centre. Jordanhill can be quite competitive for buyers, but additional housing options will soon be available: a new development is currently underway on the former site of Jordanhill Campus. The average property price in Jordanhill is £152,926 (based on the average price in 2018). Somewhat unassuming compared to its other highly sought-after neighbours, Anniesland is quickly becoming the number one destination of choice for working professionals in Glasgow. Located only 15 minutes from Byres Road by bus, this up-and-coming suburb has many of the same features and amenities as its more centrally-located counterparts – including excellent schools, access to parks and green spaces and direct and frequent links to Glasgow Central – along with an eclectic mix of affordable properties catering to a range of budgets. For first-time buyers and those looking to get the most bang for their buck, Anniesland is a brilliant option for anyone considering moving to the West End. The average property price in Anniesland is £152,926 (based on the average price in 2018). For further information on the advantages of living in Glasgow, have a look at our Glasgow Area Guide. Looking to Buy a House in the West End? First Mortgage is here to help 🙂 Contact us today or visit one of our branches in Glasgow to learn more about the mortgage options available so you can buy property in Glasgow’s West End.